R.E.M. reads–of course! This poster hangs beside my desk at Job 2, and it makes me so happy. I started listening to R.E.M. before I could read (thankyou Mum & Dad), probably around the time this poster came out. That aside, the utter randomness of it pleases me. 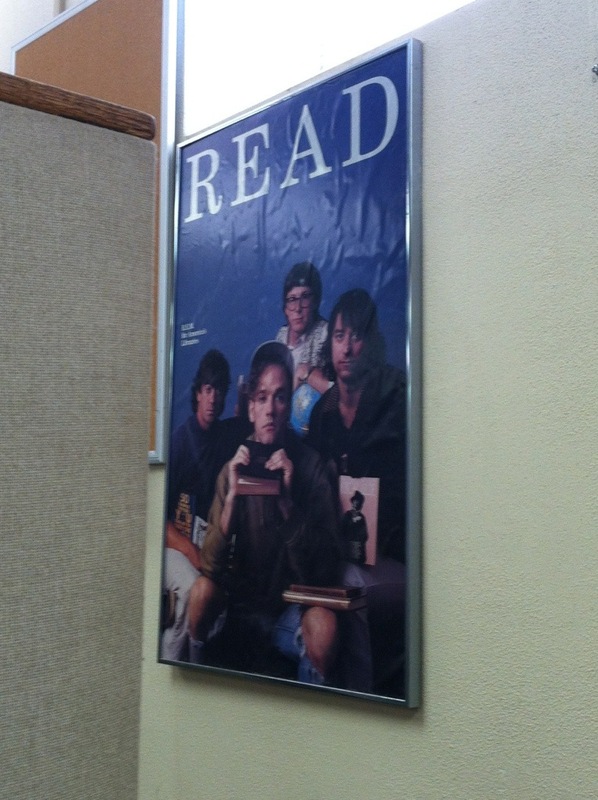 This isn’t a public library, so why was the poster purchased? How did it end up in a part of the library where it would only be seen by librarians? These little puzzles are all over historical buildings, and they make it so much fun to work in old places. What makes you smile at your desk?